Posted by Vito Paratore on Wednesday, 13 June 2018. This is probably my favorite photograph from the Alaska trip. We spent a cloudy and somewhat rainy day driving down to Seward from Anchorage. We arrived in Seward at lunch time, found a great spot to eat our packed lunch, and spotted this sailboat. I didn’t rush to photograph it, but was fortunate to take my photos when I did, since it lowered it’s sail moments after this photo. 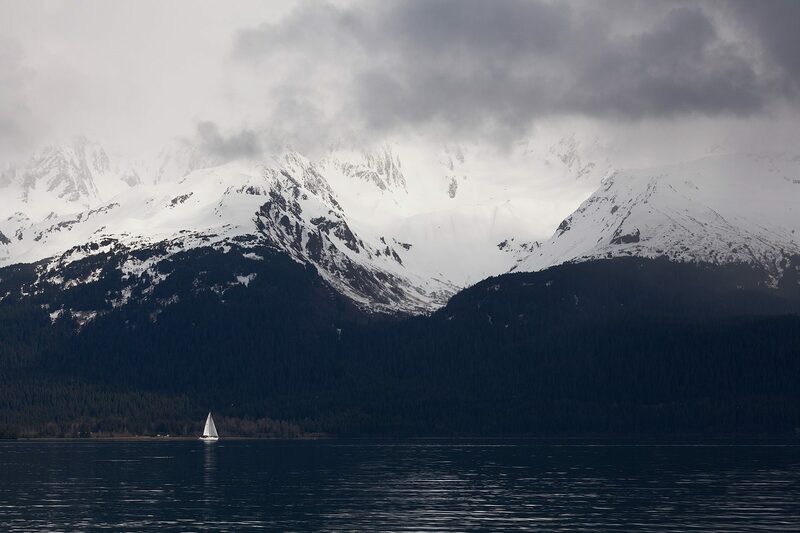 I love the scale and drama of the mountains, put into perspective by the tiny sailboat.